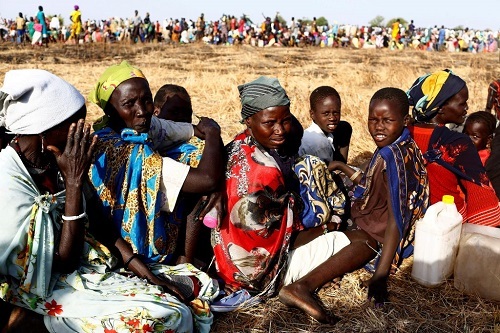 Relentless conflict and insecurity throughout the annual lean season pushed 6.1 million people – nearly 60 percent of the population – into extreme hunger in South Sudan, though the situation could improve if a sustainable peace takes hold, three United Nations agencies stated. Some 6.1 million people faced “crisis”, “emergency” or “catastrophe” levels of food insecurity (IPC Phases 3, 4 and 5) at the peak of the lean season in July to August before the harvest in September, according to an Integrated Food Security Phase Classification (IPC) report released today. The report says large-scale humanitarian assistance being provided in many areas of the country was the only factor that prevented an even more devastating outcome. 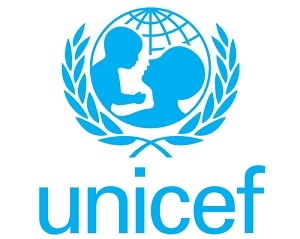 In response to the report’s findings, the Food and Agriculture Organization of the United Nations (FAO), the United Nations Children’s Fund (UNICEF) and World Food Programme (WFP) called for sustainable peace across the country, and unhindered, safe access to all areas where people who survived the fighting but are left with nothing, and need life-saving assistance. If this can be achieved, IPC projections show an improved, though still serious, outlook for the rest of the year and into 2019. The nutrition situation remains critical in many areas affected by severe food insecurity, with some 1.2 million children under five years of age severely malnourished. Global Acute Malnutrition rates were over 20 percent – above WHO’s 15 percent emergency threshold – during the March-May period in the former counties of Renk, Nyirol, Duk, Twic East and Pibor (Greater Upper Nile region). Of particular concern are the seven counties with people in Catastrophe (IPC phase 5) in the former states of Unity, Lakes, Jonglei, Upper Nile and Western Bahr el Ghazal, where people were trapped in renewed and widespread conflict over the past months and were at times cut off from humanitarian assistance. These include the two counties (Leer and Mayendit in former Unity state) where famine was declared in February 2017. Although famine was averted by June 2017, lack of access to these areas prevents humanitarian organizations from having a clear understanding of needs now. Here, hunger is driven by conflict-related displacement, disruption to livelihoods and markets, lack of access to social services and restricted trade due to inaccessible roads during the rainy season. To date, FAO supported 1.4 million farmers with agricultural seeds and tools during the main planting season so that they can increase cereal production. During the planting season, FAO distributed over 4,800 tons of crop seeds – the largest quantity to date. FAO also supports fishermen and pastoralists, including providing essential animal health services to protect livestock. This is vital as many South Sudanese depend on their livestock for survival. UNICEF and partners have admitted 147,421 children suffering from severe acute malnutrition into various outpatient treatment programmes (OTP) and stabilization centres since January 2018. This translates to 69% of the 215,312 target for 2018 and 55% of the 269,140 Severe Acute Malnutrition caseload for this year. Of the children admitted to the OTPs and stabilization centres, 89% of them leave fully recovered. WFP provides life-saving emergency food supplies, food in return for work to construct and rehabilitate community assets, food for school meals, and special products for the prevention and treatment of malnutrition in children, and pregnant and nursing women. So far in 2018, WFP has reached 3.1 million people with 30,000 tons of food and US$ 2.9 million in cash-based transfers. While responding to food and nutrition needs now, WFP is preparing to respond to growing needs in 2019. As part of its response, WFP plans to procure 310,000 tons of food for the first half of 2019. Of this, 175,000 tons will be pre-positioned before the start of the rainy season in June. Pre-positioning food would save WFP up to US$100 million as airdrops are six times more expensive than delivering by road or river.